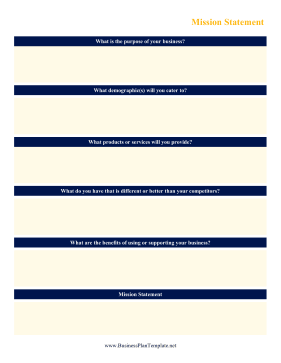 This business worksheet can help start-ups draft the perfect mission statement. What demographic(s) will you cater to? What products or services will you provide? What do you have that is different or better than your competitors? What are the benefits of using or supporting your business?